Add ginger and garlic paste and stir till brown. Add chopped tomatoes and chilly powder and stir well, till the tomatoes blend well. To this, empty the entire canned Garbanzo beans (with its fluid). 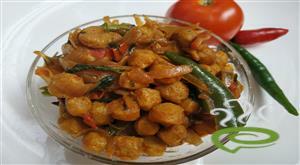 :- The canned channa cooks in no time. 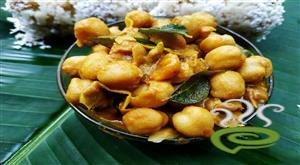 :- Don`t waste time boiling channa anymore. Try the canned Garbanzo beans that you get in any US grocery store. Believe me, its tastier! Nice recipe. 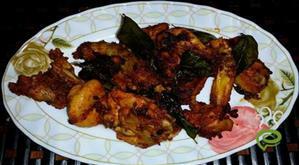 It`s a little spicy but very tasty. My only suggestion is that you throw away the can and not add it to the curry, the metal cans especially are very hard to chew through. You can use some metal saws if you really want to, but I don`t prefer it. Also make sure some holes are made in the can before adding the chana or tomato can. I tried it out yesterday... really gr8... Suggestion: you can use the dry packed ones too, but should be soaked in water overnight. 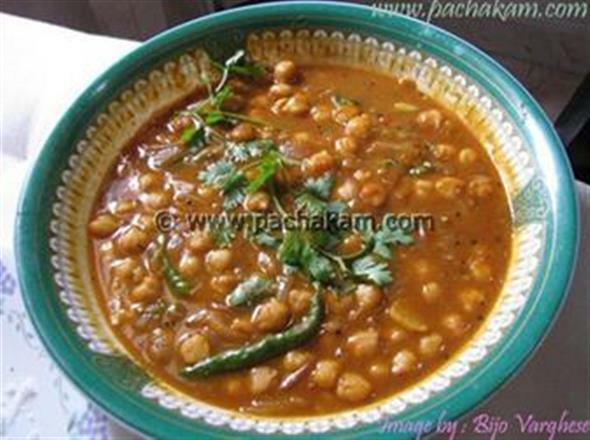 Alternative is to cook the beans in a pressure cooker with little masala and salt, if you cant find time to soak in water. Really easy and fast.!!! and turned out to be tasty too. Too good.. Fast and quick ! 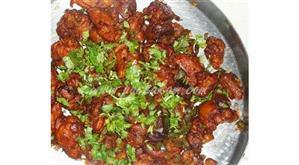 very easy recipe but WOW HOT HOT HOT SPICY SPICY SPICY. Next time i will use 1/4 to a 1/2 of the spices and I like hot spicy food. 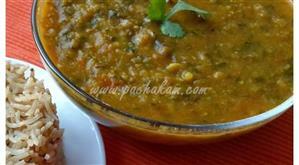 You can also substitute tomatoes with tomato puree that u get canned.. u can also try the same recipe for rajma masala. 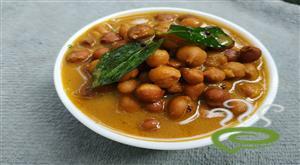 try using canned vegetarian chilli beans.. (rajma) instead of garbenzos.. Very good. You can also buy cans of chopped tomatoes with jalapeño chiles at American markets -- look in the "Mexican foods" section. Rotel is one brand; there are others, including the less-expensive store label. These come in regular (medium-spicy) and mild versions. Another time-saver from a busy graduate student! 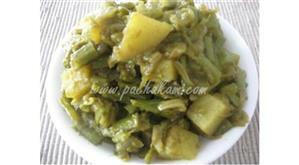 This is a good recipe for a quick curry. I added only less masala though.